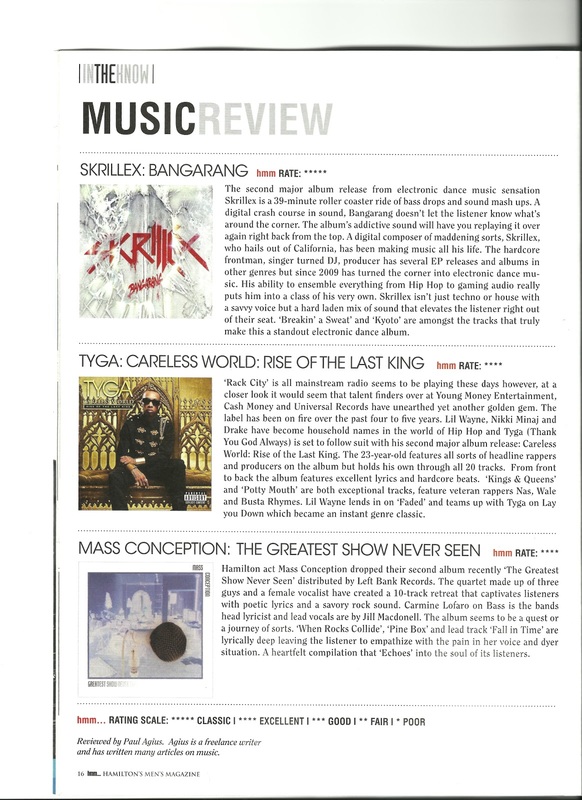 Our new CD, Greatest Show Never Seen, has been reviewed in The Spring 2012 Edition of hmm... Hamilton Men's Magazine. 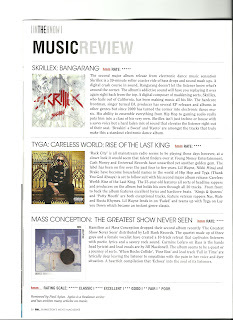 Here is a scan of the article. Actually, it's been available for some time now, but we were holding back the announcement in anticipation of our release party--that's another story. The party is still in the works, though. Stay tuned. 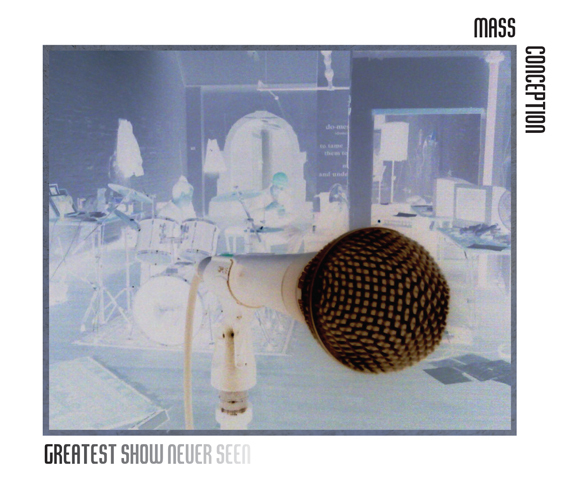 In the meantime, checkout Greatest Show Never Seen at our CD Baby Store or iTunes. Also, join the mailing list at our Official Site and receive a free mp3 of our song "Echoes."